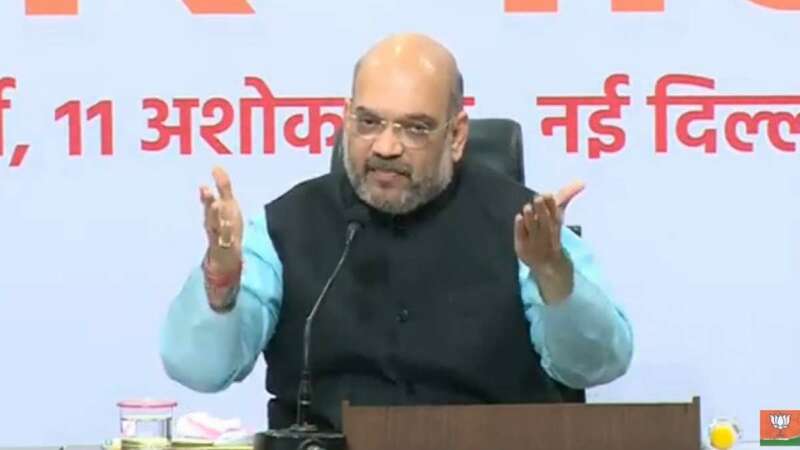 New Delhi : Condemning the terror attack on a bus carrying Amarnath pilgrims in Jammu and Kashmir's Anantang district, BJP President Amit Shah on Monday said that he had no words to express the deep pain that he felt at the incident. "I have no words to express my deep pain on the killing of innocent pilgrims traveling to the holy shrine of Amarnath. It is a henious act," he said in a tweet. He said that "cowards" responsible for this barbaric act will not be spared. "I have spoken to the BJP District President and MLC from Anantnag and asked our karyakartas in Kashmir to help the pilgrims in need. I have no words to express my deep pain on the killing of innocent pilgrims traveling to the holy shrine of Amarnath. It is a henious act. "I pray for the families of those who have lost their lives and wish speedy recovery to the injured," he said in a series of tweets. I pray for the families of those who have lost their lives and wish speedy recovery to the injured.